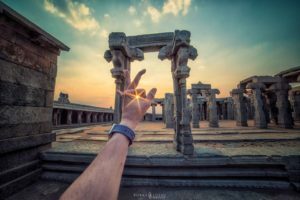 Like every individual who has taken up photography as a hobby, I too maintain a ‘bucket list’ of places that I wish to visit to do a shoot – and Hampi has been right on top of that list for a while. With an imminent relocation from Bangalore looming in the horizon, I didn’t have to think twice before signing up for the ‘Advanced Boot Camp’ with Goodshotz during April 6 – 8. 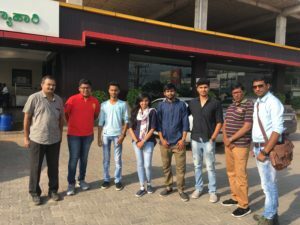 There were six of us along with our mentor Chris Gomes in the Tempo Traveler on the morning of the 6th and we took the Bangalore – Pune highway, turning towards Hospet at Chitradurga. After travelling through landscape that is typical of rural Karnataka, I just sat mesmerised as we entered the magical world of Hampi. Tall mountains sprung up on either side and they seemed to be made up of loosely arranged boulders and rocks, some of them very precariously placed with the possibility of rolling right into your path any moment. Then there were magnificent structures in granite and stone pillars arranged in neat rows and columns and spectacular temples that reminded us of the glory of the by-gone days—in short, you literally feel transported back into time and keep wondering about the amazing skill and craftsmanship of the people who created them 600 – 700 years back. 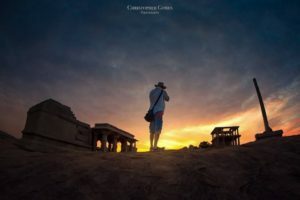 The morning after our arrival, we climbed the Matanga Hill opposite Virupaksha temple to witness what has been one of the best sunrises that I have seen till date. While there are steps chiseled out to help with the ascent, there are portions where it is just the sheer rock face and I could make it thanks to the help and support from rest of the group members. But then, it was worth every drop of perspiration as the view from the top was just astounding. As the sun slowly made its climb basking the entire place in light golden rays, one could feel the connect with nature and the supreme. Except for the chirp of the birds that flew around the small trees, there was stillness all around and every inhalation of the pure and fresh air was pumping in energy, yet making me feel calm and refreshed—something the regular morning doze of filter coffee hasn’t been able to do! Later in the day, we went to Vittala temple and right from the entrance which had the broken off Gopuram, one was left awestruck at the splendid structures that were all around—including the superlative stone chariot that stood in all its grandeur. I heard the local guide tell a group of tourists that it was commissioned by King Krishnadeva Raya to commemorate his victory over the kingdom of Orissa. By the side of the temple, I saw a very old frangipani tree with roots that looked like a hermit’s matted lock of hair—it was sporting beautiful flowers with a light golden hue over white that formed a perfect backdrop. We spent the evening on banks of the Tungabhadra river next to Virupaksha temple—and I saw several carvings of Nandi on the boulders, including statues carved out of stone. There was a lone coracle on the river bank and with no one around to offer us a ride we missed that part—but the fantastic sunset compensated for the loss. 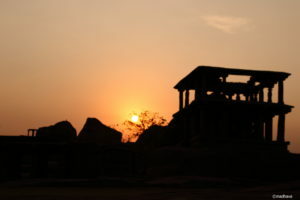 One good thing about Hampi is that the place is maintained very neat and clean. I guess the UNESCO Heritage Site tag must be helping a lot. Even the wayside vendor selling soft drinks / snacks gently reminded us to drop the plastic wrappers of biscuits in the designated garbage bins and not throw them on the ground. Like in any other tourist place, there were ‘guides’ and autorickshaw drivers scouting for prospective clients, but the moment we told that we were not interested they left us free. The weather was a bit too hot—a sweltering 39 Degrees, but the splendour of the place keeps you cool. A few words on our mentor Chris—he is an Amazing mentor and an Extremely creative individual. Being on my first landscape photography trip, there were lots of things I could learn from him. The best thing about him is that he gives you the broad idea of what all can make a good picture and then lets you find them on your own. 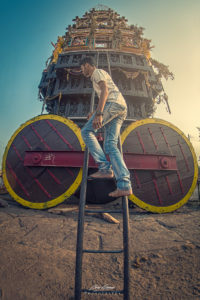 The evening post-processing sessions were a gem—not having used Photoshop or any of the other advanced post-processing software till date, it was an eye-opener for me on the amazing possibilities. I must not also forget the quiet, but ever smiling Narendra from Goodshotz, especially for volunteering to be the ‘model’ for all of us at various impromptu ‘locations’ and all my new found friends – Vinod, Ketan, Sankalp and Mr. and Mrs. Chetan— Thanks a lot to all of you for the memorable moments! This article is written by Mr. Madhav, and we feel honoured to include it into the GoodShotz Blog. 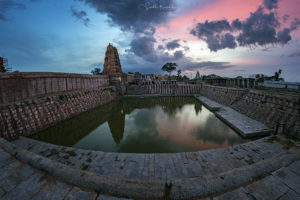 Madhav was a participant on the recent GoodShotz Bootcamp to Hampi. I am totally agree with Mr. Madhva. We never forget this tour, Amazing experience with team Goodshotz . Thanks to all my New friends and team Goodshotz.